The Regional Park encompasses approximately 124 acres of predominantly active recreational activities. Surrounding the Regional Park on three sides are accessible public lands offering users a more passive recreational experience. The park offers two playground areas with slides, swings and jungle gym-style accessories. There is a disc golf area and hiking and mountain biking trails as well as tennis courts open to the public. WINTER RECREATION: The North Tahoe Regional Park in Tahoe Vista offers a variety of wintertime recreation options including a snowmobile course, sledding hill concession and cross country skiing when snow and weather conditions permit. FITNESS PAR COURSE: Visit the North Tahoe Regional Park and enjoy your daily workout outdoors at the 18 station fitness par course situated in a soaring Sierra forest with views of Lake Tahoe. The starting point sign is located just past the Children's play area in the lower level of the park. DISC GOLF: Located in the upper level of the North Tahoe Regional Park in Tahoe Vista, the 18 hole Disc Golf Course was completed in 2007 thanks to the efforts of many volunteers. Its use is free to the public and it is available to rent for tournaments; visit our website for additional details. Download disc golf course map. PLAYGROUNDS: Visit the Children's play area at the North Tahoe Regional Park in Tahoe Vista, featuring a whimsical play structure for children ages 5 - 12, swing sets, climbing bars, slides and spring rider play equipment. There are tot swings for younger children and traditional swing sets for older children, and all of the equipment meets all current playground safety and ADA standards. TENNIS COURTS: The North Tahoe Regional Park located in Tahoe Vista offers five tennis courts available for use on a first come-first served basis. Some courts are marked for Pickleball play in addition to tennis and all are available for rent. 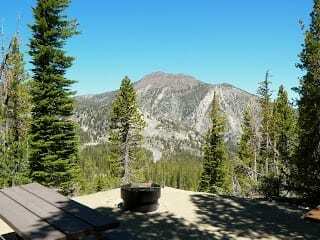 INTERPRETIVE TRAILS: The North Tahoe Regional Park located in Tahoe Vista features a 3/4 mile interpretive Sierra forest nature trail that educates visitors about the Lake Tahoe ecosystem. MEETINGS / WEDDINGS / GATHERINGS: Located in Tahoe Vista this beautiful park spans approximately 124 forested acres and offers captivating lake views along with recreational activities for visitors of all ages. Many of its amenities are available to rent for weddings, family reunions, corporate team building activities, tournaments and other events including a picnic pavilion accommodating up to 100 guests.